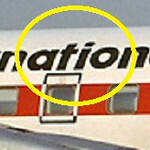 Jeff Wilkinson examines a large section aircraft fuselage with lettering from the word "International". 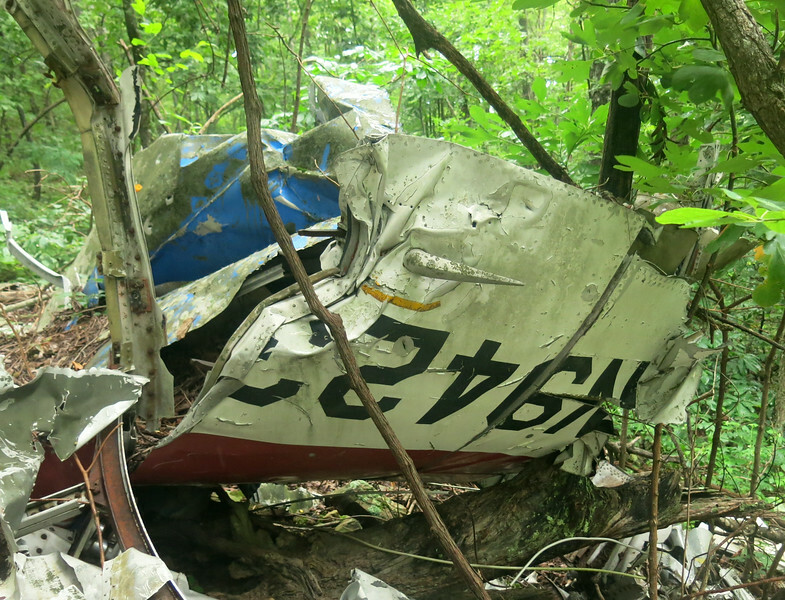 This photo of the airline's name painted on the aircraft mid-section depicts the lettering found at the crash site. 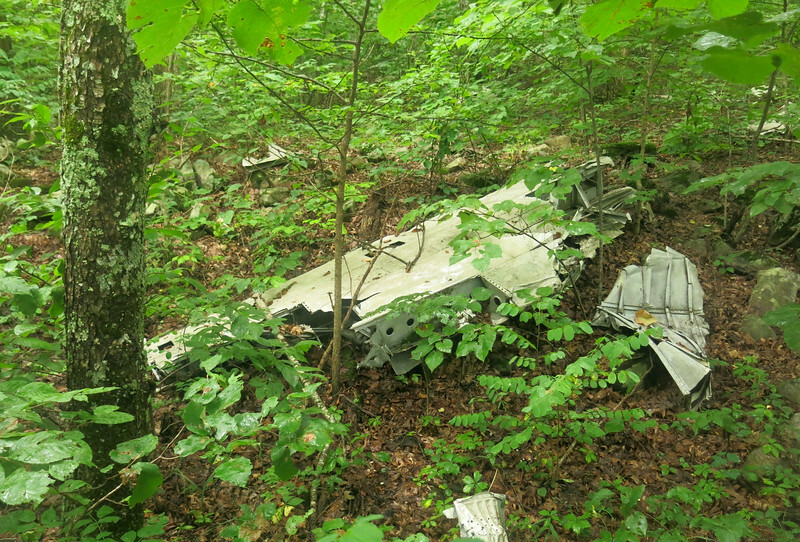 The largest single piece of wreckage remaining at the crash site of Flight 655 was the tail section. An examination of the Convair's vertical stabilizer and rudder revealed several opened inspection panels. After many years on the mountain the airline's star logo has not faded. This Rolls-Royce Dart Turboprop engine separated from the Convair's left wing during impact. 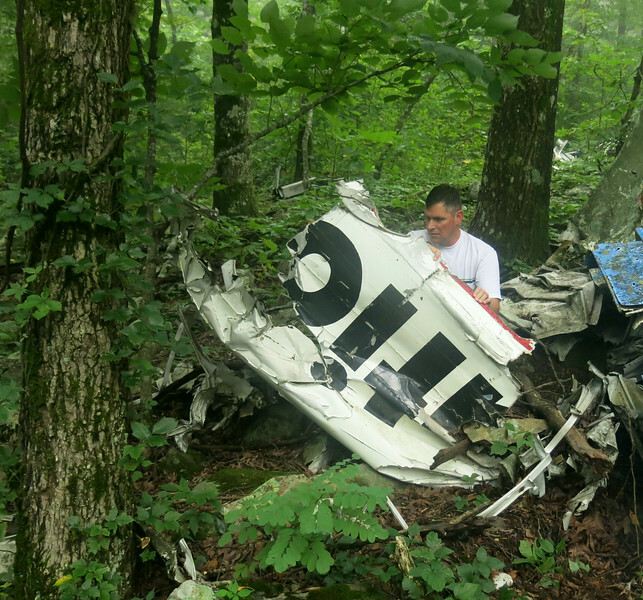 The engine was surprisingly intact compared to the engine from the aircraft's right side. 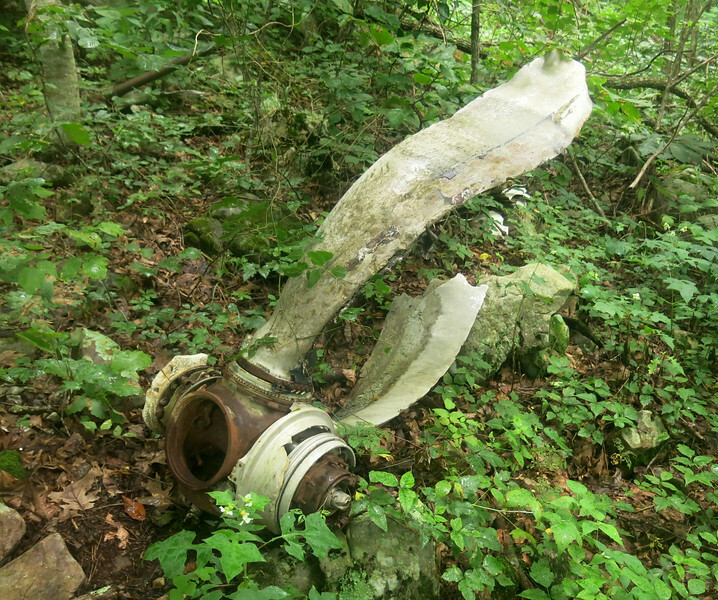 The Dowty Rotol propeller pictured here was from the left engine and also exhibits rotational damage. As with the right propeller, this propeller was also missing two of the four blades. 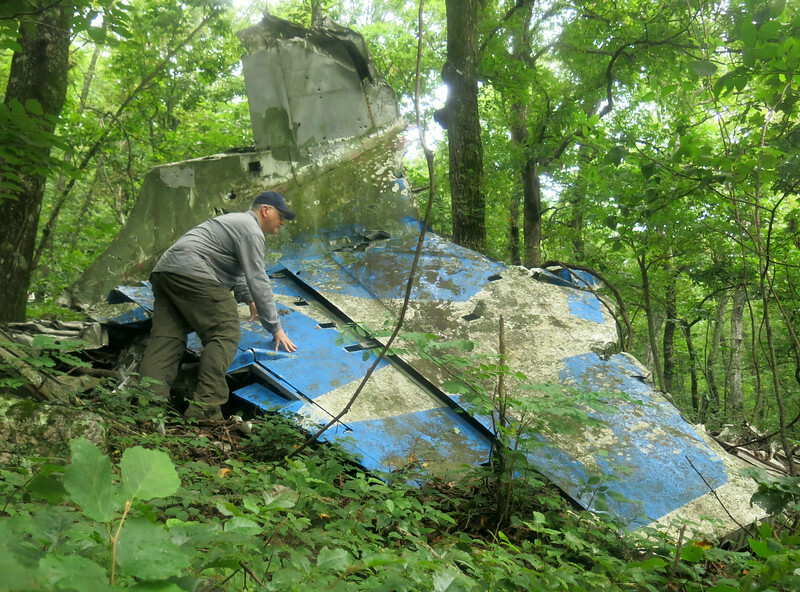 The right horizontal stabilizer was located downslope from the aircraft's tail section. 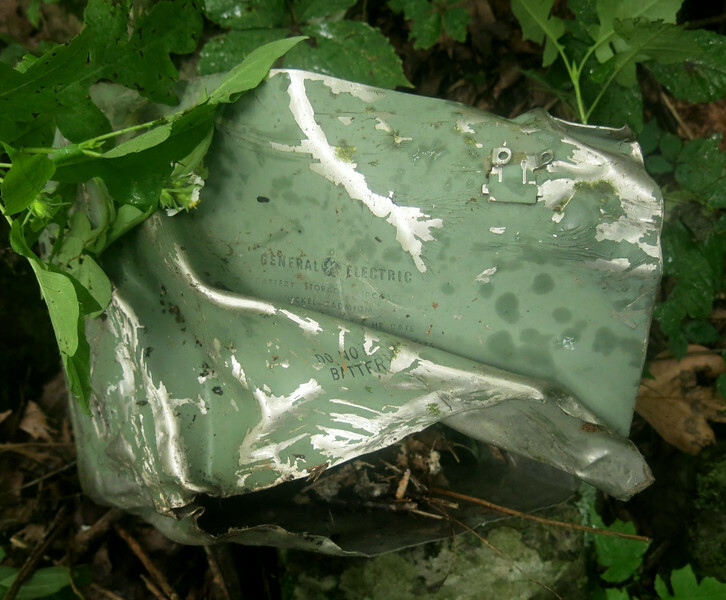 This crushed ni-cad battery box was labeled "General Electric" by it's manufacturer. A fragmented section of fuselage reveals a passenger cabin window near a safety striped overwing emergency exit opening. 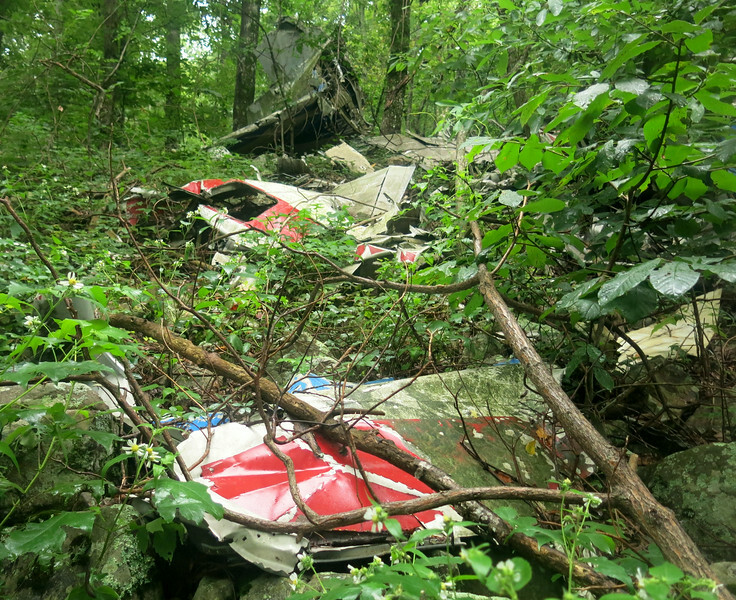 A short incline of vegetation and debris leads to the main wreckage of the Convair. 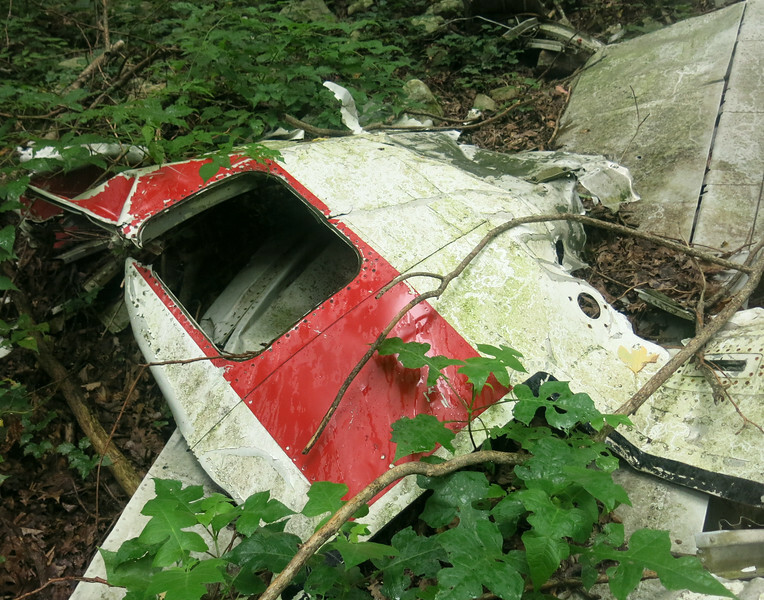 As rain began to fall, the slope and the crash site became more difficult to traverse. 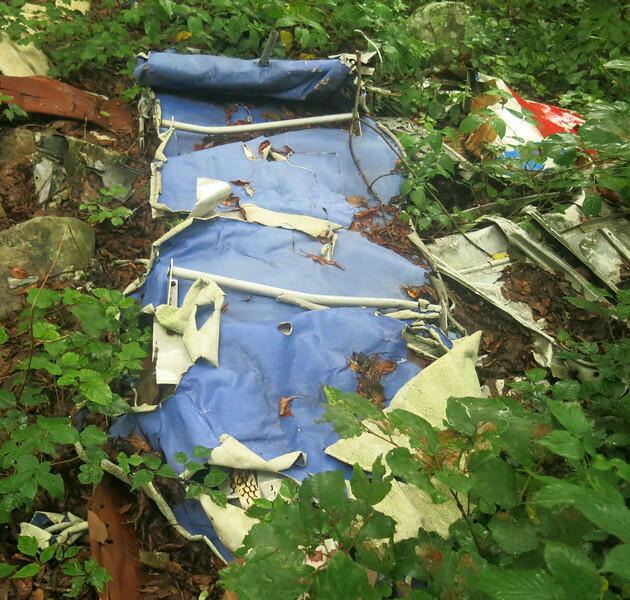 This portion of the right-aft fuselage contained the aft baggage door and aircraft registration number "N94230". 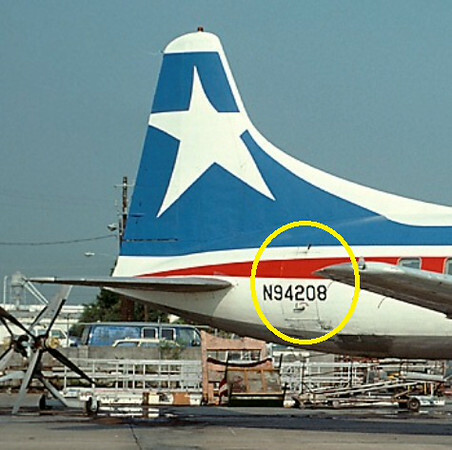 The location of the Convair's aft baggage door is circled in this photo of aircraft N94208. 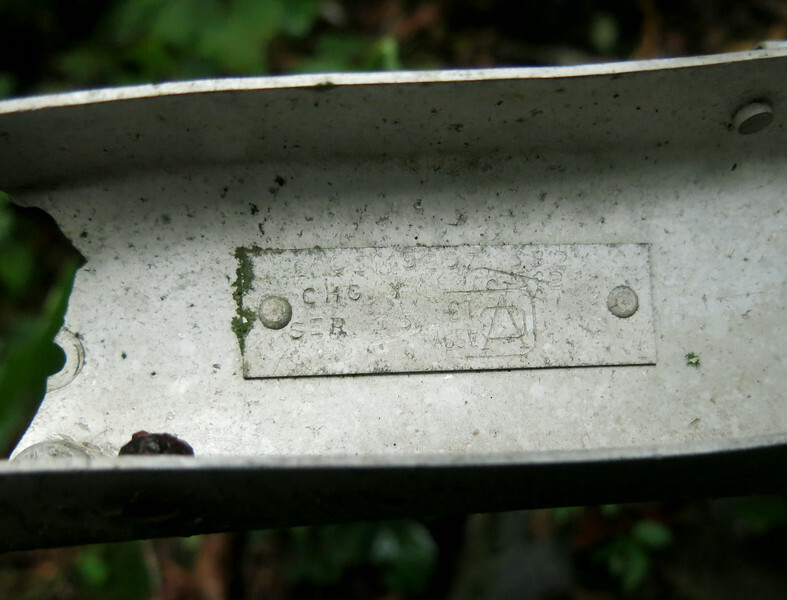 An aircraft structural stringer fragment with Convair manufacturer inspection stamps on a placard. 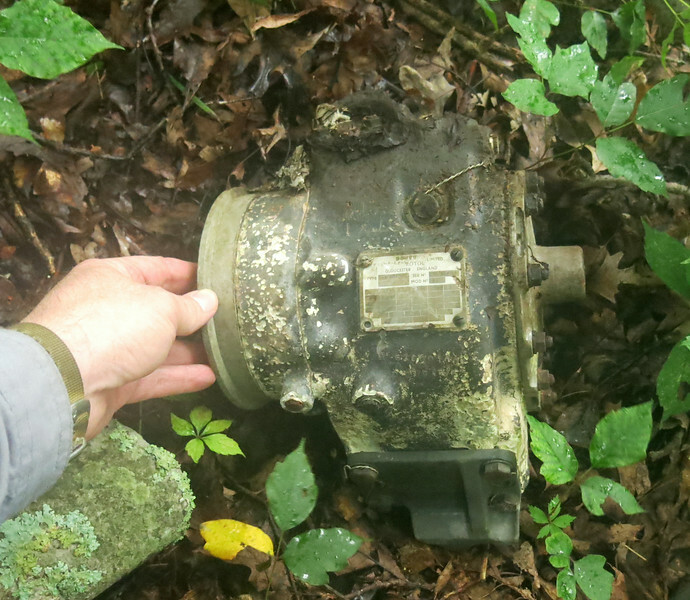 This propeller accessory component was located near the crash site. I'm not certain if it's a propeller overspeed governor or something else that regulates the propeller operation. 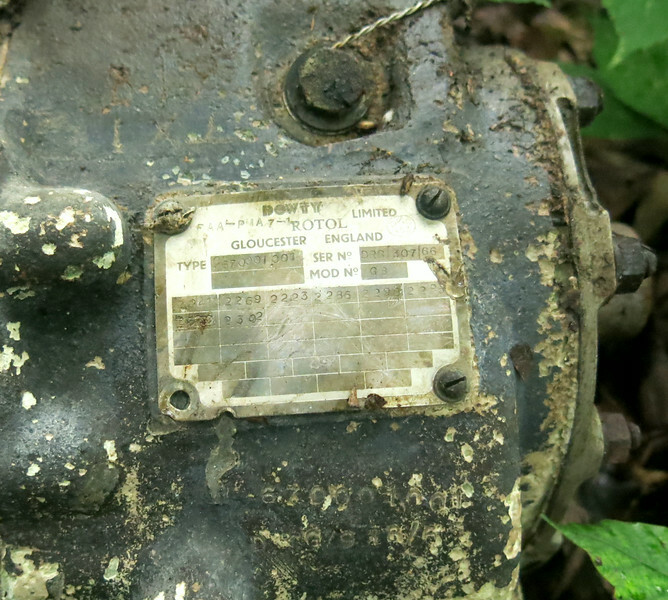 A close look at the propeller component's data plate identifies it being manufactured by Dowty Rotol Ltd. of Gloucester England. Not certain, but I believe this blue vinyl material was part of the aircraft's overhead baggage bin located in the cabin. 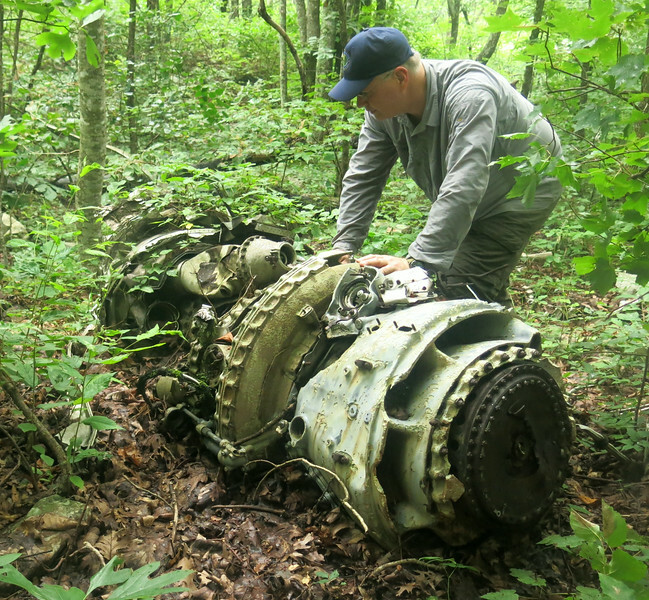 For Texas International Airlines, the tragedy of Flight 655 would remain the airline's only fatal accident. 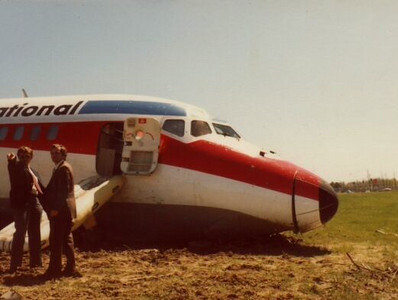 As the airline advanced into the DC-9 series jet aircraft, smaller incidents would occasionally occur, such as this runway overrun event during March 1980 at Baton Rouge, Louisiana. During 1982, Texas International Airlines merged with Continental Airlines. 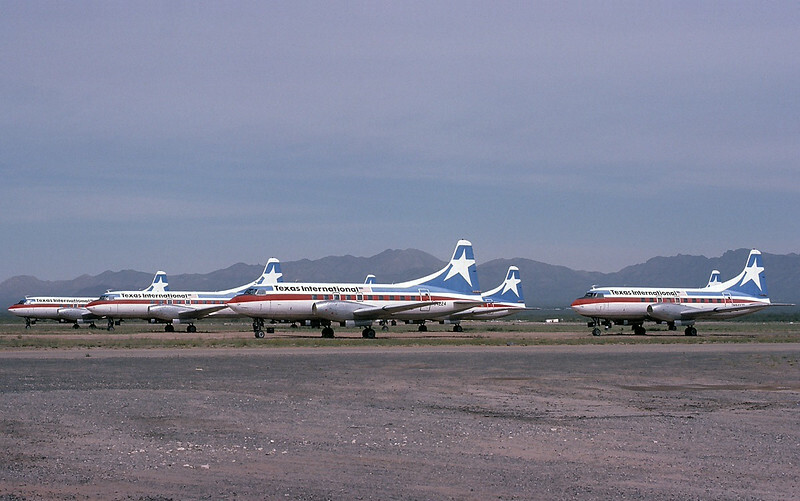 With the introduction of jet service complete, the Convair 600's were retired one by one in the Arizona desert. The last Texas International aircraft was seen in 1983 as the airline was completely absorbed by Continental.